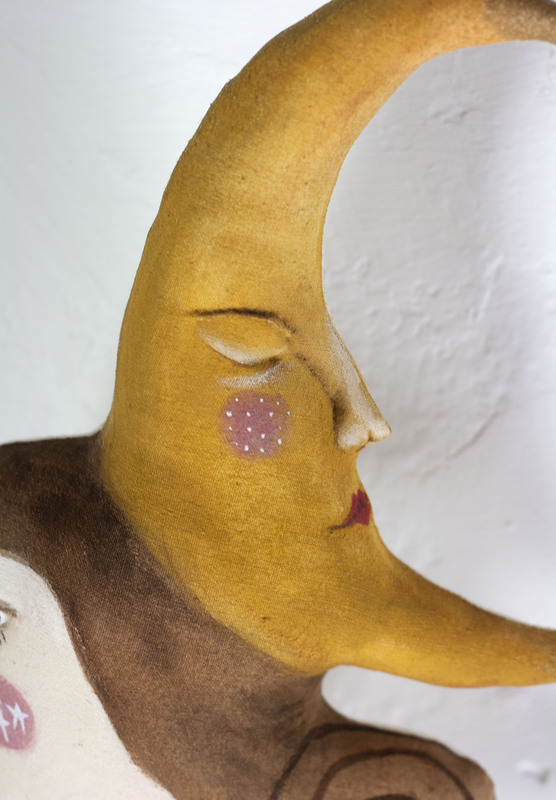 The Dreamer is a large textile doll carrying the face of the yellow crescent moon like a hat. 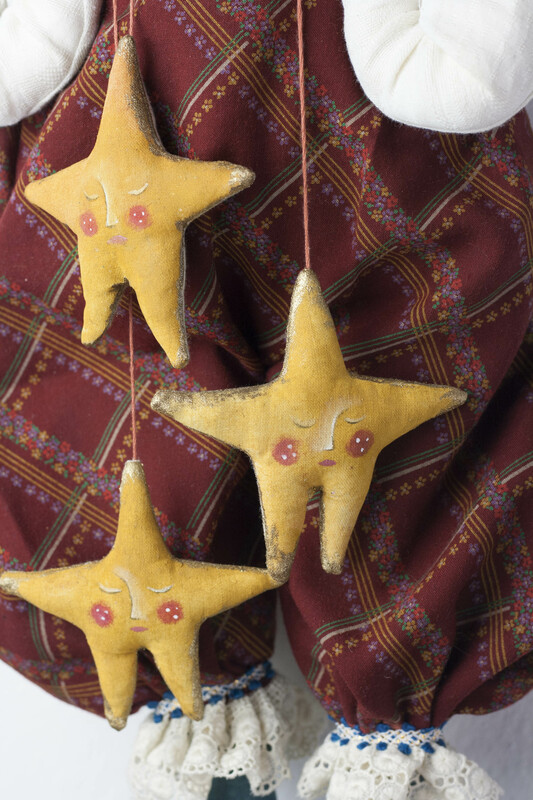 In her hands she holds three textile stars with little faces painted on them, suspended from strings. 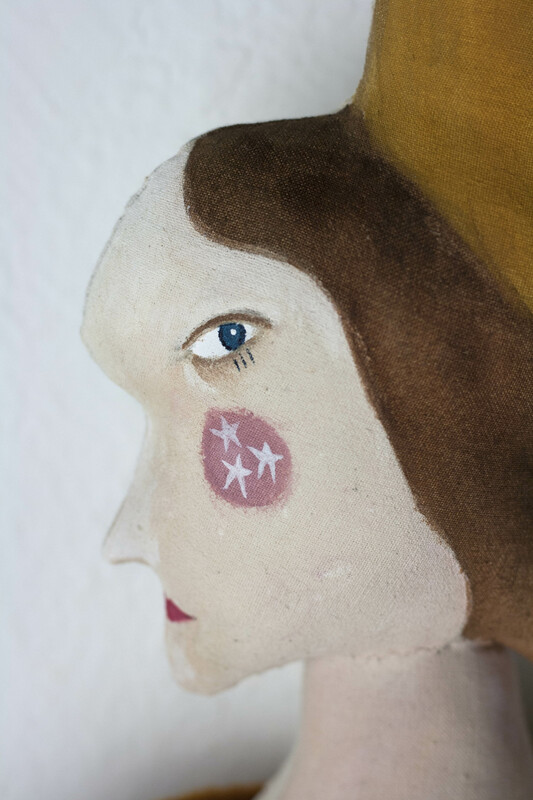 This doll is made entirely of textile, she is hand painted and all her clothes are hand sewn with vintage fabrics and lace ruffs. She can both sit (when supported) and hang from a hook on the back. 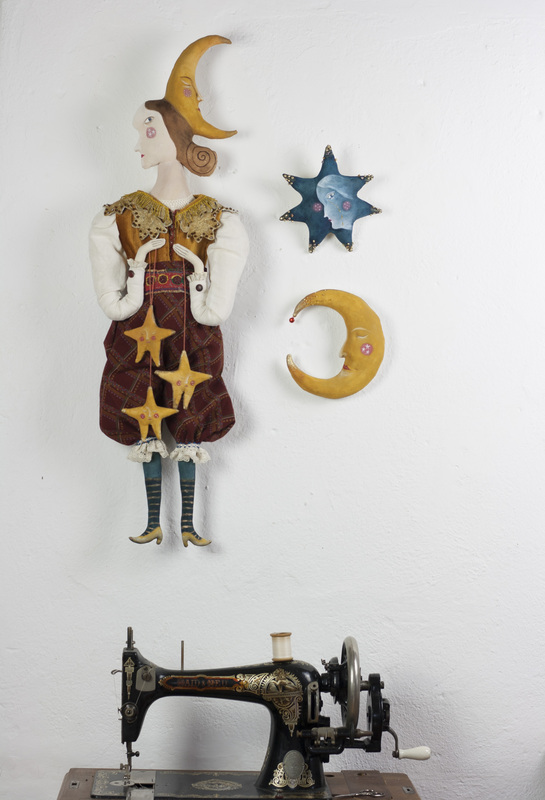 Such a talented artist with whimsical critters and dolls. Even the packaging my owl came in was truly perfect and thoughtful. 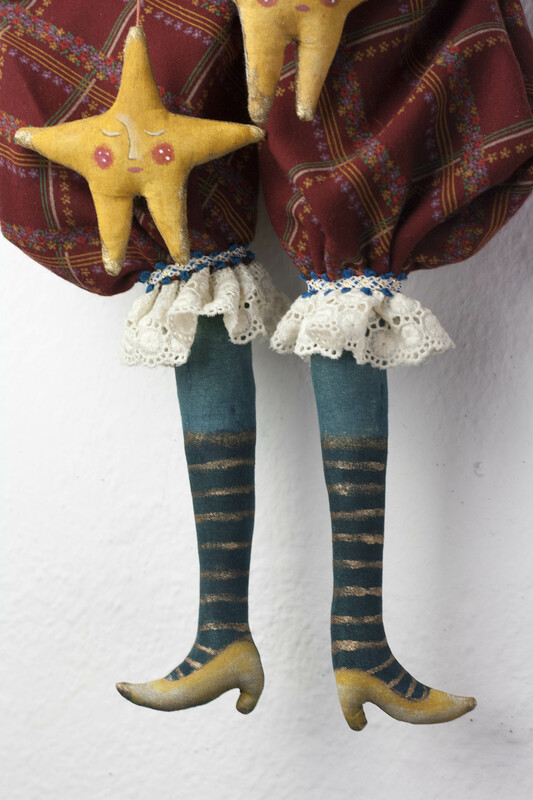 She is quirky weird and fabulous! Thank you for making such an amazing creatures ❤ I will look after her well!